It’s been a while. Actually, it has been more than ten years now since we have seen a new entry in the F-Zero series. A shame if you ask me, because Nintendo fans all over the world can’t wait to play a new game in the franchise. It bugs me that Nintendo doesn’t listen to its fans. They just keep their mouth shut about the continuation of the series. It also bugs me even more that Nintendo is constantly teasing their fans with nods to the futuristic racing series in other games. C’mon guys! We’ve seen the main protagonist Captain Falcon pop up a few times in different games like the Super Smash Bros series. But also Nintendo Land has an F-Zero inspired minigame and Mario Kart 8 (Deluxe) counts two F-Zero tracks including some sound tracks from the original game series. As a fan of the series this is to much for me. The constant teasing by Nintendo drives me crazy and it makes me wonder what the Japanese company wants to prove with the numerous nods to the series. I even wonder if Nintendo is ever going to bring back the series to its platforms. Let’s hope they do! 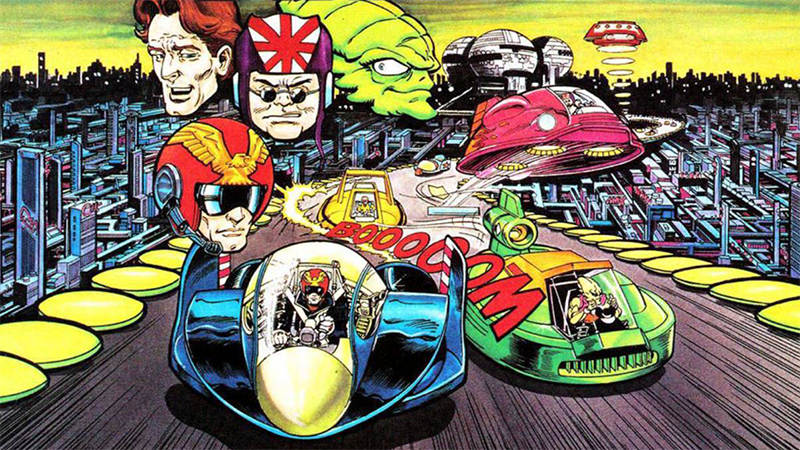 So if Nintendo is planning to release a new F-Zero game on one of its platforms, what should it be? You might remember the rumour that Nintendo asked Burnout-creators Criterion Games about continuing the franchised, but unfortunately they declined this kind request. I would be happy with anything at this point. Give us a F-Zero X remake for the Nintendo 3DS with the 64DD content as a bonus! That would be great! We have all seen how awesome games like Starfox 64, Ocarina of Time and Majora’s Mask are translated to the latest handheld of Nintendo. Or a HD remake of F-Zero GX with the AX content included? It would fit perfectly in todays obsession with HD-remakes, right? Of course a main console entry would be terrific as well. Although I think this is to much to ask. The F-Zero fanbase is not big enough to make such a game a financial success. But on the other hand the Switch is getting popular by the day, so who knows. The bad news is that the latest games in the series didn’t sell all that well. The latest entry, Climax, which was only released in Japan, even sold merely a few thousand copies. That’s not enough I guess.